What makes a community tick? During a presentation at a Social Media Tourism Symposium event in Amsterdam, Colleen Geske, head of social media marketing at Amsterdam Marketing and bestselling author of the book Stuff Dutch People Like (based on her popular blog that has 250,000 fans) talked about the power of emotional connections in social content. 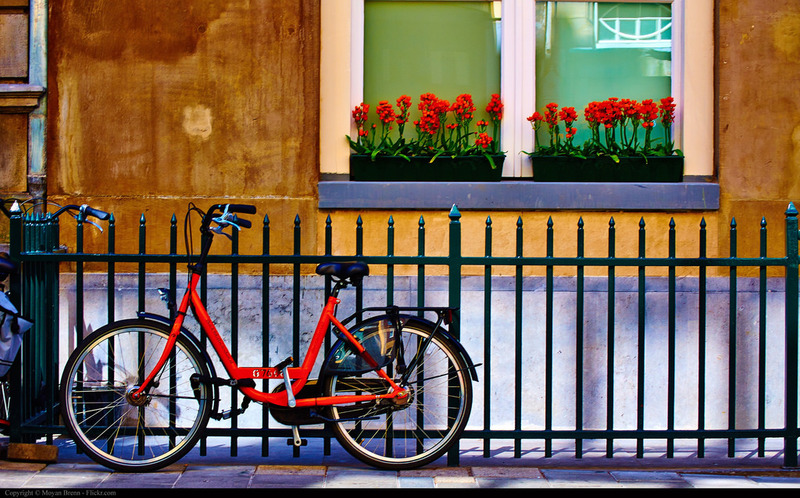 The Facebook page of I amsterdam had 600,000 fans in 2014, and has since grown to 705,000. At that time, I amsterdam preferred organic reach over ads, because Facebook punished brands if they ran poorly targeted ads in certain niches, thereby earning less reach overall. So instead, Geske’s team focused on earning the high commitment level that organic reach brings. But how to get those great results? “Photos of cats and misspellings always deliver many responses, but you also want something different,” joked Geske. Her social media strategies include smart content and the understanding that people want to connect with content. In the article, “I’m so totally, digitally close to you” in The New York Times (2008), author Clive Thompson explained that social media is addictive because it provides “intriguing” and non-stop content, or what social scientists call “ambient awareness”. Online communities give you a picture of what others’ lives are like. And this concept can also be applied to your brand or city; for Geske, each post at I amsterdam needs to be meaningful, every picture needs to tell something new, and together they offer a sophisticated portrait of the city. Visual content works well, but which photos and videos really touch people or tugs at their heartstrings? Geske studied many posts in both of her communities (I amsterdam and Stuff Dutch People Like) and found out that a thoughtful combination of emotions is the key to success. The winners in content are the posts that help people feel good, recall warm memories, give them a sense of well-being or offer a glimmer of inspiration. According to Geske, the emotion “surprise”, which is noted on Plutchik’s wheel of emotions, is essential and almost listed at the top, followed by the emotions enjoyment, anticipation and confidence. Anger and distrust are strong emotions, which are often found in many social media comments, and as an organization it’s crucial to respond to these quickly and efficiently. Nostalgia, humor, belonging, identity, pride and, as mentioned previously, surprise are the emotional triggers for the Facebook page of I amsterdam. Images of canals and tulips (nostalgia, identity and pride) always do well, but the trick is to surprise people with a special angle – like their example of tulips being placed in a town square. Other key points: all photos on t he I amsterdam Facebook page are created by page followers, and timely posts work well to tap into the “running dialogue” Geske’s team wishes to create with followers. One of the destination’s best posts was the (original) post of a hot tub floating on the canals of Amsterdam – it reached almost 1.5 million users and was shared more than 5,000 times, using a combination of surprise, humor and identity. Geske also explained that she likes to play with the pride and identity of Dutch people – and play off of their beliefs that they are the best at everything (e.g. “I’m Dutch. What is your super power?”) Posts with cyclists in a snowstorm or five children on the front and rear racks (showing pride, humor and surprise) have also been very successful. This post has been adapted from an original post by Marian van der Ent, Senior lecturer, Tourism and imagineering, NHTV Breda University of Applied Sciences, via TravelNext.